Magna’s etelligentDrive systems will be on display at CES 2018. The company’s e1 concept vehicle will be used to demonstrate different electric-drive (e-drive) concepts and systems, as well as demonstrate Magna’s vehicle integration capabilities. 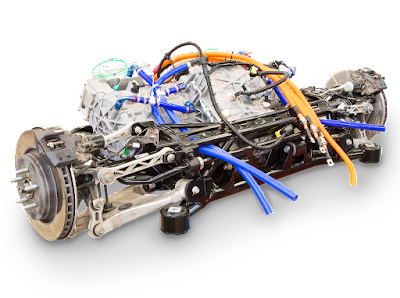 The e1 system consists of one highly integrated e-drive system on the front axle and one on the rear axle with two electric motors (e-motors). 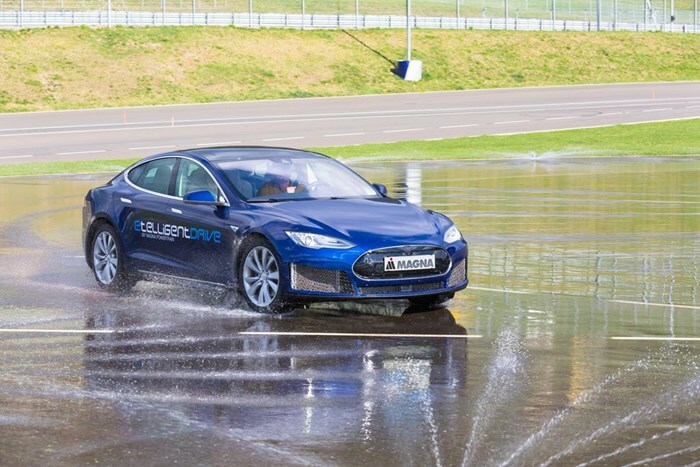 The Tesla Model S based e1 concept vehicle demonstrates improved stability and handling with electronic torque vectoring (eTV). The powertrain features an integrated eDrive 140 kW peak AC induction on the front axle while the rear axle has an integrated eDrive with 2 x 140 kW AC induction motors connected to a summation gearbox and axle lock clutch operated by the eTV control system to provide torque vectoring. 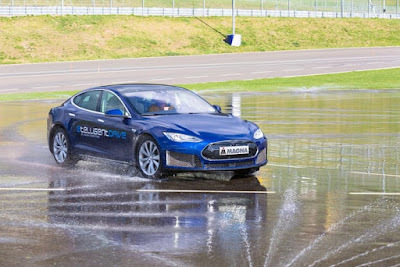 Triple electric motor all-wheel-drive powertrains offering dynamic yaw control via torque vectoring represent the next generation in high performance EVs with Honda, Audi, Mitsubishi and most recently Tesla's 2020 Roadster all either in production (Honda NSX, RLX SH-AWD) or soon to be. The ultimate in torque vectoring requires a quad electric motor AWD powertrain but at this time the only OEM known to be considering such a system for volume production is Honda with their next generation NSX due in 2023. 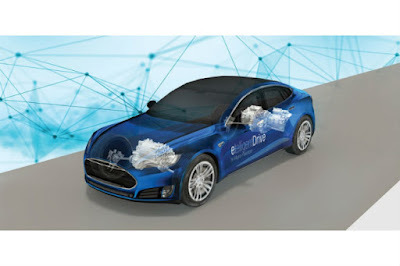 Magna is responsible for providing the e-motor, electronic control module/inverter and the transmission for the Ford Focus BEV and Magna has supplied Volvo with the electrified rear axle drive system (eRAD) featured on the Volvo V60 and S60 plug-in hybrid models. Magna’s eRAD system offers multiple hybrid driving modes while also adding electric all-wheel-drive capability.